So a reviewer says it’s good; does that mean that you should necessarily buy it? After all, would you buy a car based on someone else’s opinion? Would you take someone’s word if it were your education at sake? Because, in all reality, your guitar DVD will be your musical education, and you want to get the best that you possibly can. 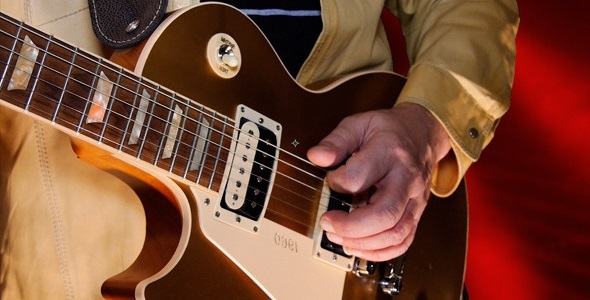 In this article, we will discuss how to determine if a guitar DVD course is right for you based on reviews, materials, and site representation. This does not mean that you should go by their word and their word alone; reading reviews will give you a mixed impression of the DVD, and that is what you want. You want to see the good and the bad that people are noticing with the product. Somewhere in between it all is an accurate portrait of the product itself. That is the hard part; seeing the “actual” review as it is broken up between differences in opinion. Know that there will always be a costumer who rates a product poorly due to an issue with the vendor, not the product itself. While this isn’t fair at all, some people just don’t think before they do something, as when they rate a product poorly and not the vendor itself. All they are doing is tarnishing the image of the product, and in turn they aren’t affecting the distributor at all. Think about it; distributors work with tons of products, so if one has a bad review, it won’t make much of a difference in the long run. Look at the materials included with the DVD set, and compare them to other sets on the market. Are they equal in quality? Are they better? Are they worse? Do you get more with this set than you would another set? While more isn’t necessarily better (always think quality over quantity), when the products are pretty even in the quality department, the number of materials can turn out to make a big difference in making your choice. If you see a great review for a product, but the name of the site is solely dedicated to that product, don’t even bother buying the product. This is because, while it may not completely reflect on the product, sites that are entirely devoted to reviewing a single product are reviews made by the product company. This means they are trying to feed you want they want you to think about their product. Not only is this a shady business tactic, but it also means that the company as a low opinion of its target audience and target market. Finding out if a guitar DVD course is right for you is a pretty easy process that is mostly made up of common sense logic and a little bit of comparing and contrasting. If you use both, you will find the right product for you in no time at all and begin learning how to play the guitar. The first DVD is Learn to Play Blues Guitar – Level 1 with instructor John McCarthy. This DVD is full of important beginner blues techniques, including the ever famous twelve bar blues. Not only does this DVD walk you through the blues step by step and lick by lick, John McCarthy also breaks each and every lesson down into more manageable pieces.